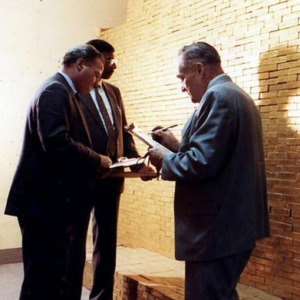 This handsome 1 kg cast gold bar is a 99.99% purity gold bar produced in Switzerland by the prestigious PAMP gold refinery in the Canton of Ticino. 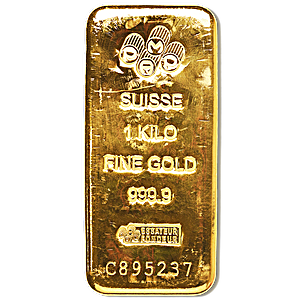 The front of the PAMP 1 kg cast gold bar shows PAMP’s famous insignia of 4 circles, and the bar’s weight and purity with the words “SUISSE 1 KILO FINE GOLD 999.9” stamped in the centre, as well as the official Swiss stamp of authenticity “Essayeur Fondeur”. Each 1 kg PAMP cast gold bar has a unique serial number, which is also embossed on the bar’s front surface. PAMP gold bars are famous around the world and are popular for those buying gold as a form of saving, as well as those giving gold as a gift.